Deerlake Homes for Sale Alpharetta GA 30005. Search homes for sale in Deerlake subdivision Alpharetta GA 30005 – Deerlake Homes for sale Forsyth Co.
Deerlake Homes for sale in Alpharetta GA 30005. If you are looking for a great place to live in the Atlanta area you should consider looking at homes for sale in the Deerlake subdivision. 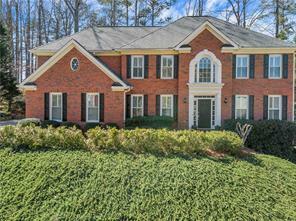 Search active listings of single family homes for sale that are currently listed in the Deerlake subdivision in Alpharetta in Forsyth County Georgia. Walk photos and virtual tours of Deerlake Homes for sale, property information and find the home of your dreams complete with gourmet kitchen, garages, granite countertops, stainless appliances, hardwood floors, finished daylight basements and more! For more information about buying or selling a home in the Deerlake subdivision in Alpharetta GA or Northern GA please contact us! It will be our pleasure to assist you as your Alpharetta GA real estate agents and REALTORS®. 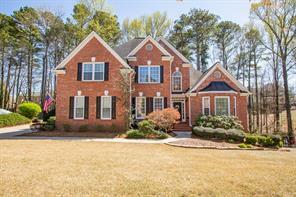 1) 1240 Elk Ridge Cove, Alpharetta, GA 30005, Forsyth Co.
2) 6095 Deerwoods Trail, Alpharetta, GA 30005, Forsyth Co.
3) 1595 Reindeer Ridge, Alpharetta, GA 30005, Forsyth Co.
4) 1595 Reindeer Ridge, Alpharetta, GA 30005, Forsyth Co.
5) 1595 Reindeer Ridge, Alpharetta, GA 30005, Forsyth Co.
6) 160 Antler Trail, Alpharetta, GA 30005, Forsyth Co.
7) 1105 Dapplefawn Court, Alpharetta, GA 30005, Forsyth Co.
8) 5240 Deerlake Drive, Alpharetta, GA 30005, Forsyth Co.
9) 5240 Deerlake, Alpharetta, GA 30005, Forsyth Co.
10) 1630 Reindeer Ridge, Alpharetta, GA 30005, Forsyth Co.